Are your trees looking a bit wild and in need of a trim? Trees in the way of a construction project? Concerned about the health of your trees from the drought, or creating defensible space from fires? Want to enhance your property value with skillful pruning? Whatever tree services you need, you can trust the experts at Monster Tree Service North Bay. We will take care of you quickly and efficiently. Our experienced arborists have the skill, knowledge, and equipment to provide exceptional services at fair and competitive prices. We have an unwavering commitment to excellence, which means you will receive top-quality tree services, whether you need a routine pruning or emergency removal services. Don’t accept anything but the very best! 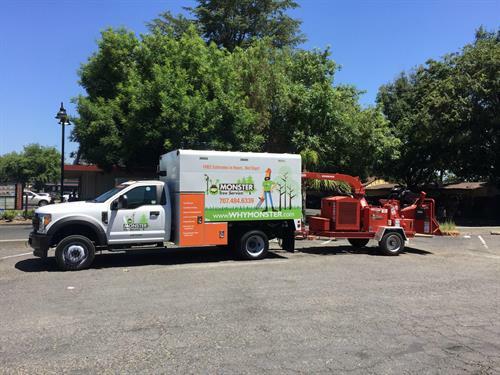 Call Monster Tree Service North Bay today to discover why we’re your neighborhood’s choice for tree services!